Washing machines are, undeniably, a must in every household. That’s why, it’s important to choose durable options which can also make your life easier and make laundering feel less of a chore. Qualities to be weighed when choosing one since you have to consider the following: washing time, convenience, and price among other things. Front load washing machines cost a little more than the top load ones, but it’s because of the convenience it offers, and because you will be saving a lot more since you can save a ton of water. Front Loads can reportedly save a minimum of 5 gallons of water per cycle or over 2,000 to 3,000 gallons a year when accumulated, depending on your usage. This can still lower if the laundry days are limited, but this is definitely a good sign! Front loaders take a longer cycle, but this gives you time to do other chores. Not only are you being frugal, but you’re also helping conserve water (which helps the planet, big time), and you have more time in your hands for other chores too! Front Loads only use an average of 0.15-2.4 kWh per cycle with cold wash and 0.37-2.4 kWh with warm wash. This means, your electricity cost is only between $0.05-$0.79 cold wash and $0.12-$0.79 warm wash. You will be grinning like a shot fox once you see your water and electricity bill. Noise is an important element to consider, especially if you’re a mother raising a child because babies are sensitive to noise and wake up with by the slightest sound. This is detrimental because your chores will take up more time since you need to put them back to sleep. Front Loads creates minimum vibration and, therefore, lessens noise from your washer. This is why it’s so hot in the market and is preferred by many parents. 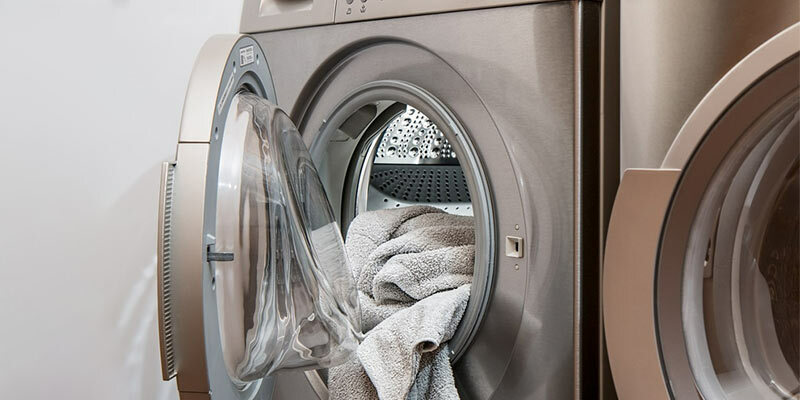 Research shows that Front Loads spin over 30% faster; therefore, removing water from the clothes even before transferring them to the dryer or hanging them out. Since your clothes accumulate less water during wash, it will be less heavy to move them making you less exhausted after laundry. As compared to top loads where you have to manually squeeze the water out before transfer since it overloads the dryer. You do not need to worry about space because Front Load washing machines can be stacked with a Front Load dryer, so this gives you an opportunity to play with your home’s interior a little bit. Even if you have a bigger laundry space, going for a vertical set-up is ideal because it does not limit your movement and you have more floor space to work with. This does not only look less cluttered, but it can be for a different storage opportunities too! Click here for multiple choices of front load washing machines – you can get one for as low as $600! Not bad considering the features you’ll surely benefit from!